Located in the West Virginia wilderness, this is a private area that connects to the Indian Ridge Trail System and various other local sites. Perfect for a getaway weekend, bring your ATV to take advantage of the natural beauty that is Keystone, West Virginia. Come stay our three bed, two bath single wide with three full beds, one twin bed, and a pull out couch. 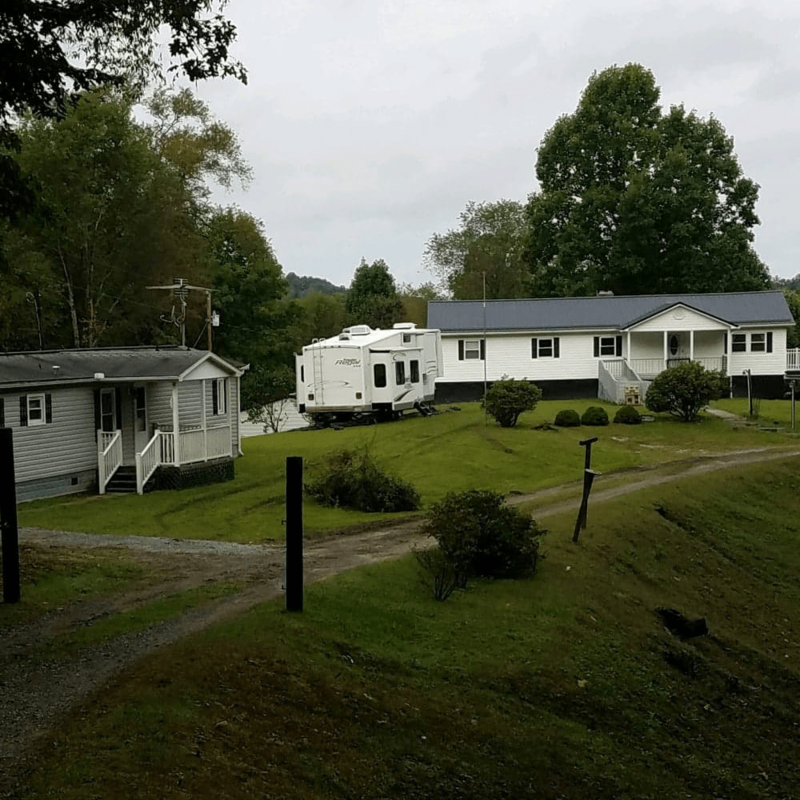 If you are looking for something a bit roomier, we also have a three bed, two bath double wide with six full beds, one twin beds, and a day bed. Once you park and unload, you can ride your machine everywhere. Just bring yourself, your friends, your family, and most importantly, your ATV. Everything else is here for you.